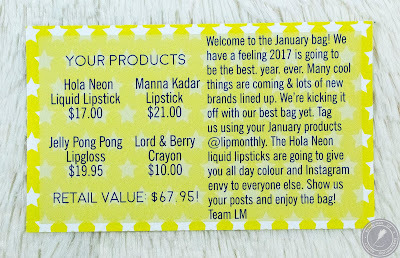 Lip Monthly - January 2017 + Coupon Code! 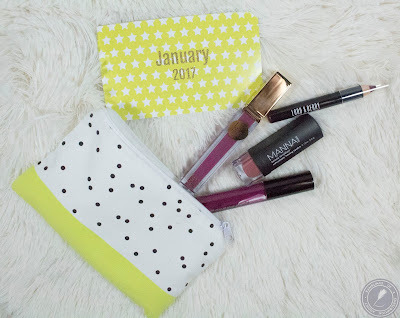 New year, new Lip Monthly. Once I catch up, you'll see I haven't received from them in a while and I'm worried that things aren't going well for them. 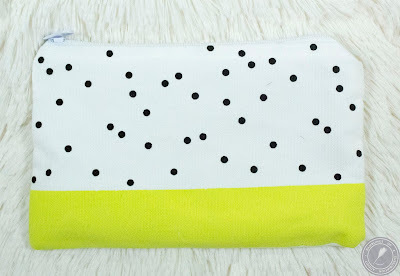 I do really like this bag. I'm not usually a fan of this type of print but it's really fun. It was really small, too, so I ended up giving it to my mom. 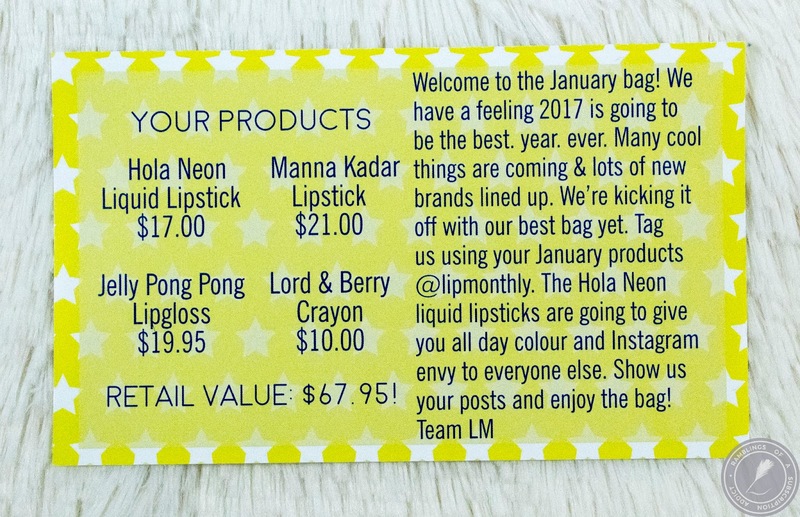 Hola Neon Liquid Lipstick (FOMO) ($17.00) - If you are looking for a liquid lipstick that's going to stick, this would be it. It's not overly drying but doesn't feel moisturizing either. When I tried it, I didn't have a lot of greasy food but it did still hold up and left a bit of stain. The swatch on my arm stayed around for a really long time, like days and through showers. I only wish I had received a more wearable shade. This is gorgeous but I would have preferred The Easy Sell or DF. 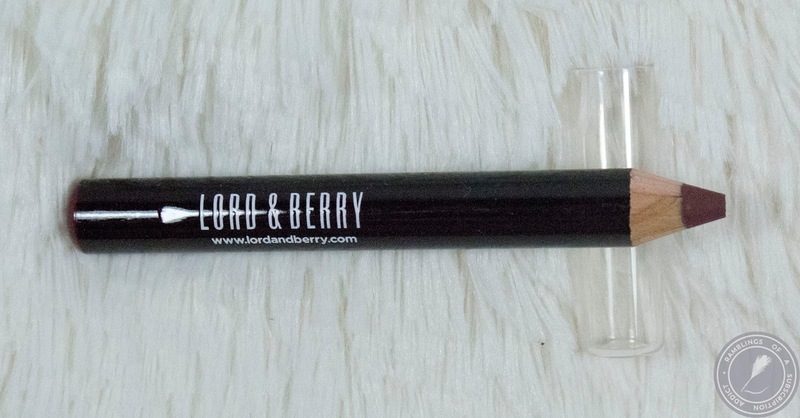 Lord & Berry Lip Crayon (Black Red) ($10.00) - This is a smaller version of their lip crayons, more like what you would find in a set or in a bag like this. I do like the shade for a bolder lip look and it's just brown enough to make my 90's vibes come out as well. 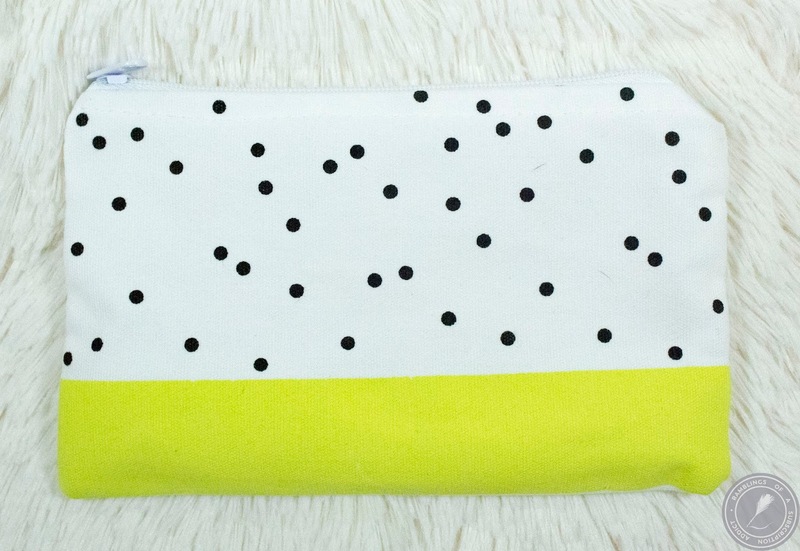 It dries matte but not in a drying/uncomfortable way. If you want this shade, here is the full-size version. Jelly Pong Pong Lip Gloss (Curiosity) ($19.95) - Yay, more Jelly Pong Pong. I'd like to say this lip gloss was amazing because this is a costly product, but it's just good. It's a little goopy/sticky, typical of lip glosses. 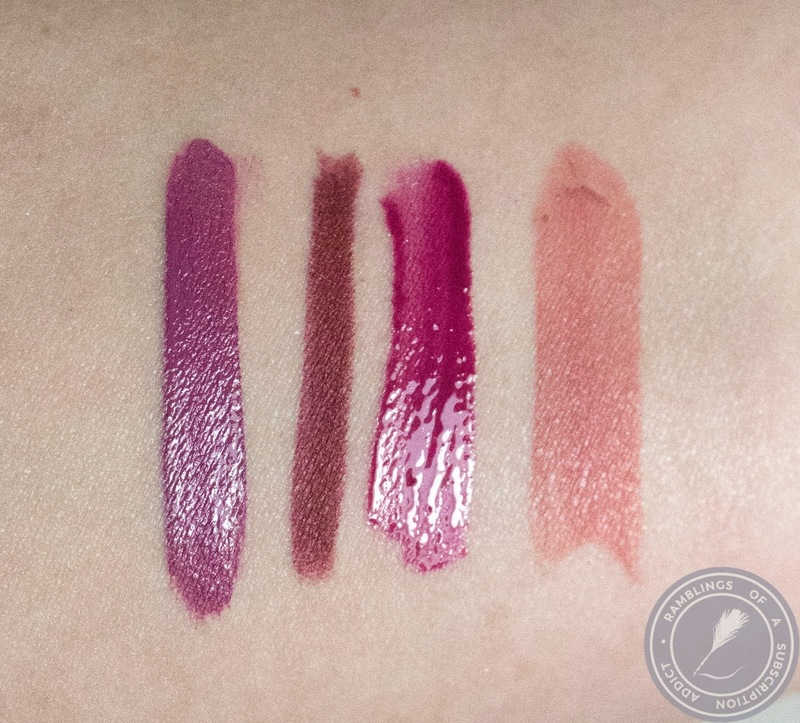 JPP glosses aren't bad but they aren't worth the cost. 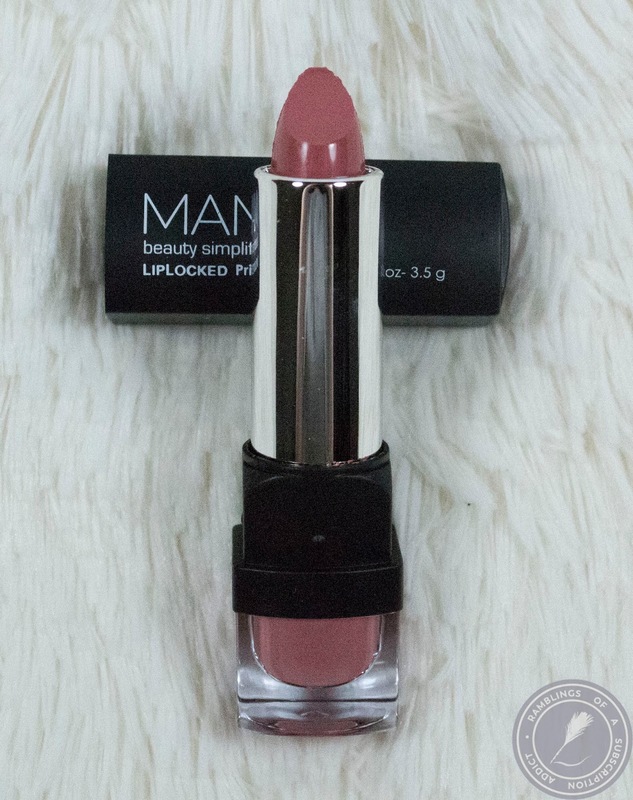 Manna Kadar Lip Locked Lipstick (Bliss) ($21.00) - Oh yes, my lips but better. 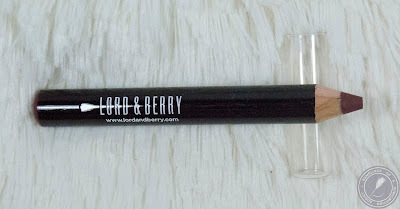 This is a super creamy formula, not drying at all but it doesn't dry down so it does transfer a bit. I love it too much to not wear it frequently. 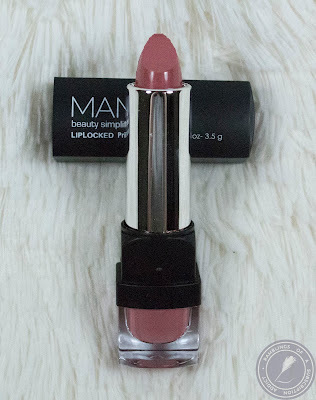 I really like this shade because when it does wear away, it fades easily and without looking bad. Hola Neon, Lord & Berry, Jelly Pong Pong, Manna Kadar. This bag's value was $67.95, far over the cost of the bag. I wasn't a fan of the JPP but otherwise, I loved something about the rest of the products.